Yahaira Roa's "Queen of Hearts." For a group of visionaries last month, one's man trash was another's treasure. 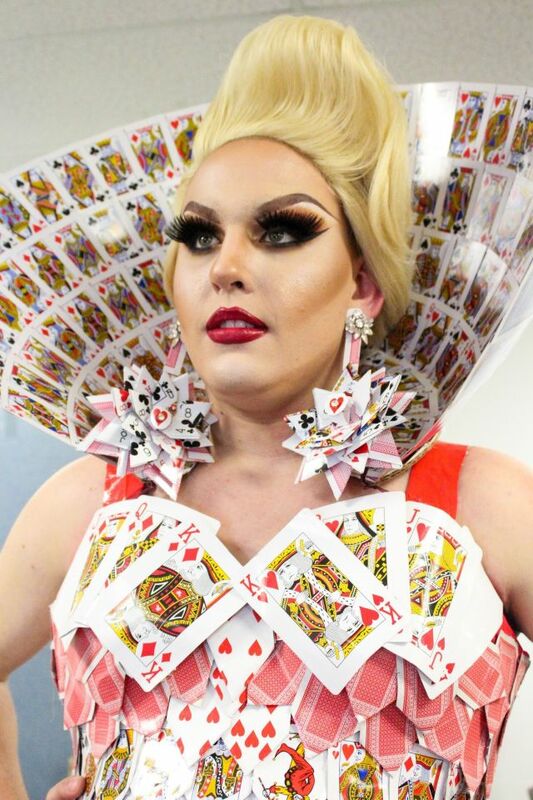 One designer molded a bell-shaped skirt and fitted bodice out of sturdy poster board and duct tape; instead of silk or cotton, more than 1,000 playing cards coated the silhouette a la Alice in Wonderland's Queen of Hearts. 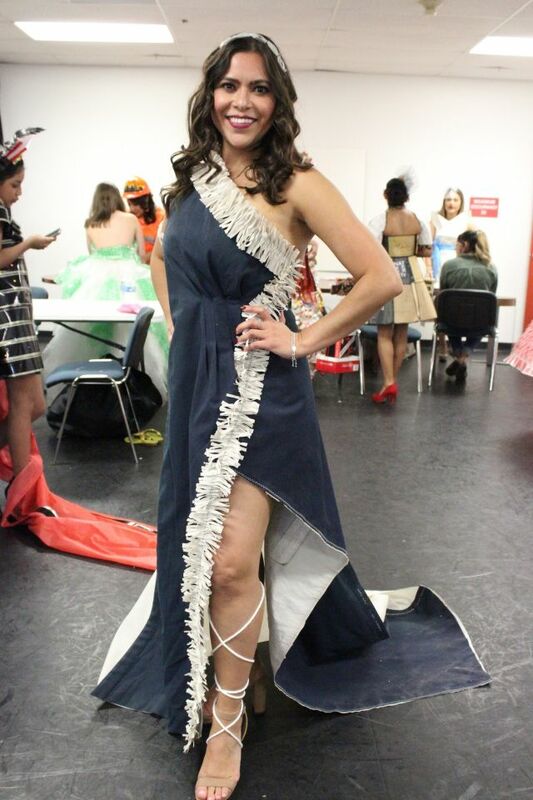 At Rubbish to Runway, local designers transformed recycled, repurposed, and reclaimed materials into works of fashion at Talento Bilingue de Houston in the East End. Now in its fourth year, the event is held in memory of Rubbish to Runway founder Yessenia Ruvalcaba's late twin sister, Vanessa Morales. 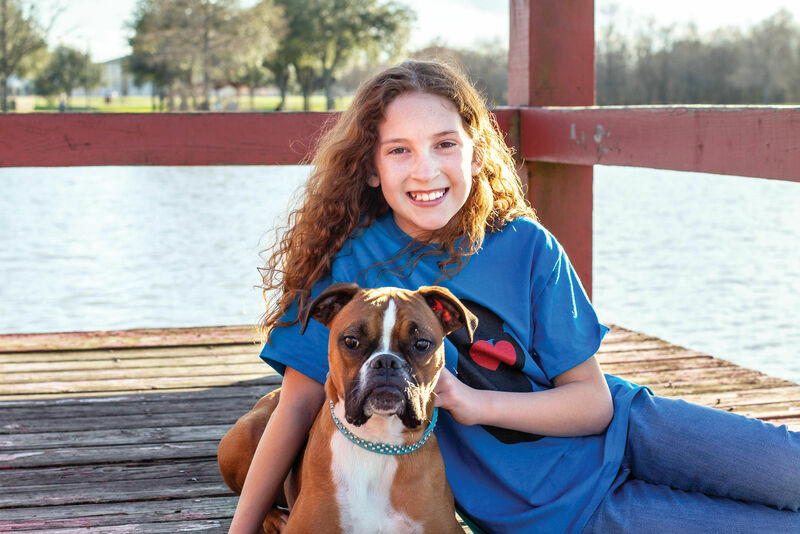 For her upcoming birthday, Morales had asked friends and family to donate to Long Way Home, a nonprofit that builds self-sufficient schools in Guatemala, in lieu of buying her gifts. Days before she was to turn 25, Morales was killed in a car crash. Kellie Garden and Mary Facker's "Kiss the Girl" (left) and Celia Diaz's "Material Girl." 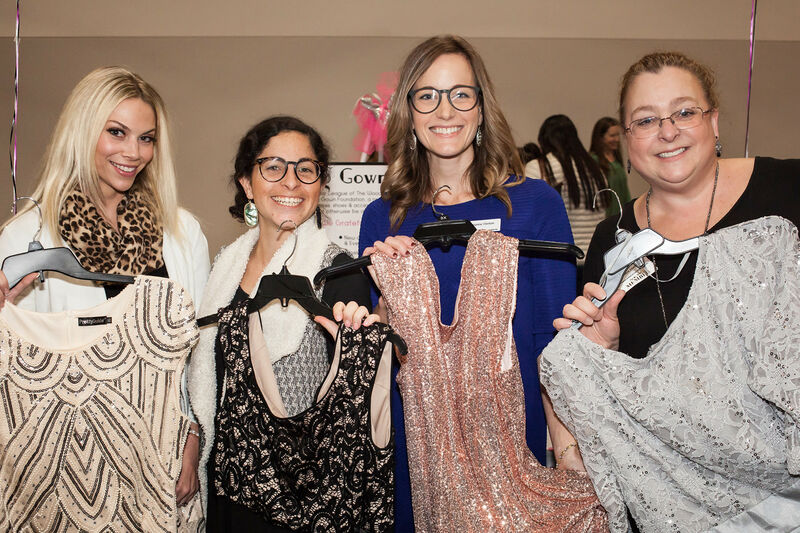 “Education, fashion, giving back, and recycling [are] a mixture of her favorite things,” Ruvalcaba said. The high-energy, nontraditional fashion shows have raised more than $10,000 for Long Way Home, which has built a sustainable campus of more than 10 classrooms, a library, and more. 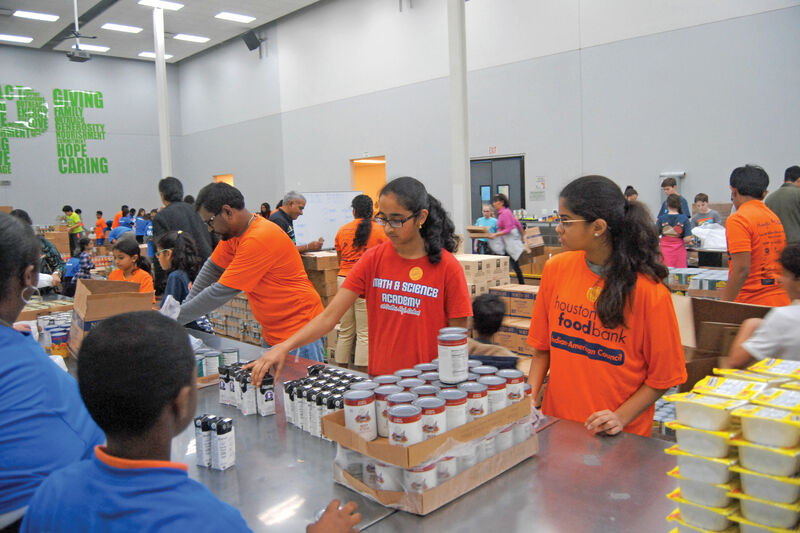 Proceeds from this year’s event will help purchase sustainable materials for the roof of the school’s cafeteria, said Ruvalcaba, who now serves on the nonprofit’s board of directors. Plastic water bottles squeezed between tires act as some of the many recycled items that form the school's foundation. 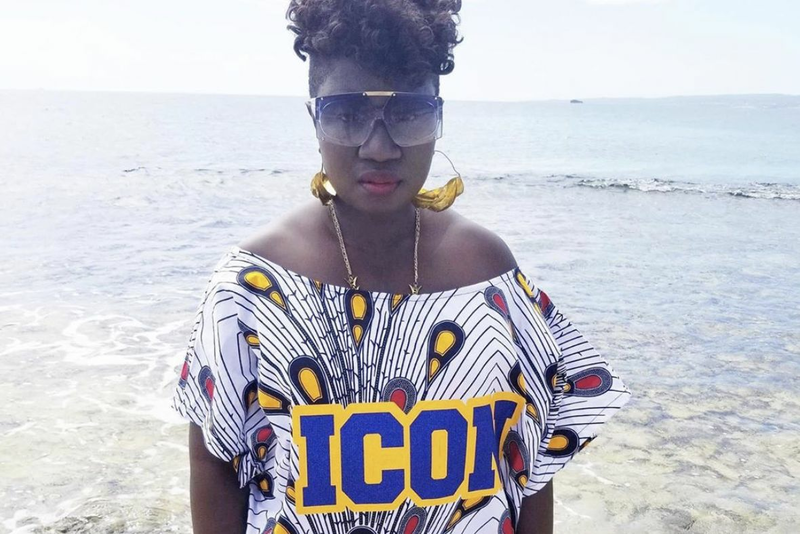 Aside from serving as a major fundraiser, Rubbish to Runway is also educational, meant to afford local designers the opportunity to creatively demonstrate the importance of recycling, Ruvalcaba said. Kellie Garden and Mary Facker's "Part of Your World." “We forget that beautiful things can come out of trash,” she said. The designers carefully selected their materials to breathe new life into common household items, from grocery bags to newspapers to coffee filters. Janet Paneitz, a second-year Rash to Rubbish participant, used items from her 9-to-5 as an interior designer: curtains and Formica tile samples, fashioning red silk fabric into an off-the-shoulder party dress adorned with multicolored tiles. 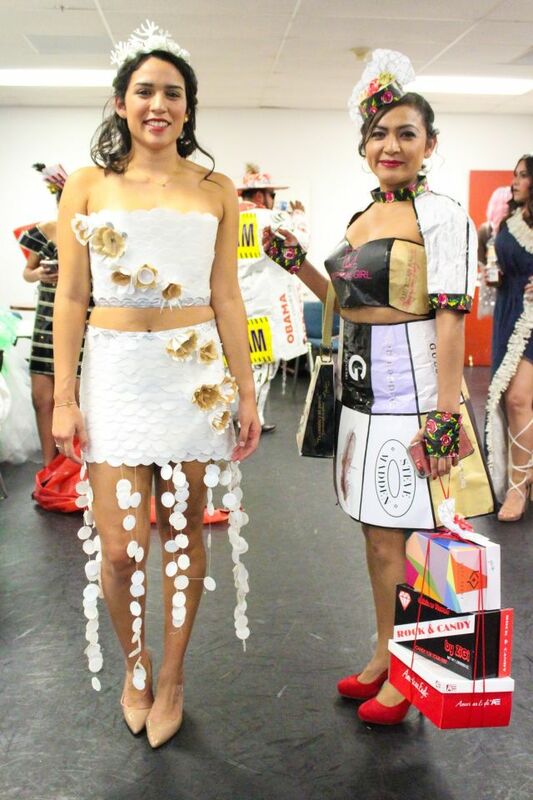 Kellie Garden and Mary Facker made their Rubbish to Runway debut with two looks inspired by The Little Mermaid: “Kiss the Girl” featured flattened Keurig cups with scalloped edges layered on wrapping paper to mimic the texture of a mermaid tail. For their second look, “Part of Your World,” the designers repurposed unused canvas from a sailboat to craft a one-shoulder gown with a partially cinched waist and lined with shredded sail. Morales would have celebrated her 29th birthday this July.